If you’re getting ready to pack up and roll out for a much needed week of relaxation, you’re going to need to start planning for the occasion. March is here, and that spring break feeling is creeping up on you. We know, we know… packing is almost as dreaded as unpacking, so we’ve collected some tips for your spring break packing endeavors. Duh! Of course you’ll be needing your swimsuits and boardshorts. Think about taking more than one (maybe two or three). That way, you can let one soak in the spring sun while you’re wearing the other. Ladies, shorts are a great cover-up option with swimwear. 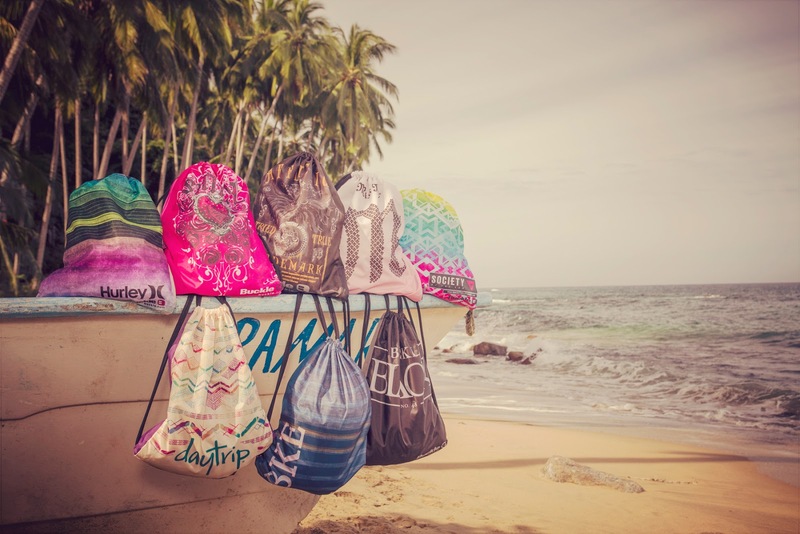 Pack extra for beachwear and night life. Guys, boardshorts are the number one option for beach activity, but take a look at flat front or cargo short options for when you’re not on the shore. Hurley makes a walkshort with Nike Dri-FIT technology that wicks away sweat and moisture, leaving your skin protected, comfortable, and cool. Pack the obvious: tees and tanks, but don’t forget at least one or two dressier tops for a more coastal look in the evenings. Graphic tees and tanks can make up most of your spring break wardrobe. Make sure your tops are versatile and lightweight. Tossing in a sweater is a great idea. You never know what the weather will do, and if you’re leaving from the midwest, you’ll want a warmer top for your arrival home. Even if you’re escaping to paradise, a pair of jeans is a must. Most spring break hot spots get to about 70 degrees in the evening – perfect for rolled jeans and a tee. Your favorite jeans go with anything, and you’ll love making them the winner for game time decisions right before heading out. From head to toe, accessories are your best friends this year. Think practical for your accessory needs. Hats and headbands keep your hair back and the sun off your face. Sunglasses are also a must for traveling to your sunny destination. Pack flips (of course) so you don’t burn your feet. Try to limit your shoe packing to two pairs (flips and a casual, closed toe shoe). Also, take a backpack or drawstring bag for added convenience – something to toss your towel, sunscreen, wallet, etc. in for beach walking. As weird as it may sound, write down what you’re planning to pack. Take into account how many days you will be at your destination, as well as travel days. This will help you avoid over/under packing. Creating a list will also let you know exactly what you need to go shopping for. We’ll only say this once, but don’t forget to pack an extra pair of underwear, just in case. Check in with your hotel to see if towels are provided, and if not, roll up a towel and tuck it into the edge of your suit case. With only a few weeks left, stop by your local Buckle store, or buckle.com to take advantage of our Spring Brand Event. Receive a free drawstring bag with a $75 purchase that includes one regular priced item from a sponsoring brand! Check out the details here. What did we forget? Let us know what else you’re packing this year.